Add extra values to your home decoration by installing The Home Decorators Collections telescoping rod set. This complete rod kit includes a 20 in. - 36 in. telescoping pole, two finials, installation brackets and mounting hardware. The brushed nickel color will match any cooler toned curtains perfectly. The Home Decorators Collection Holdback set in brushed brass includes 2-pieces of 5/8 in. holdback and mounting hardware for easy installation. This stylish holdback set holds the drapes open and allows more light into the room. 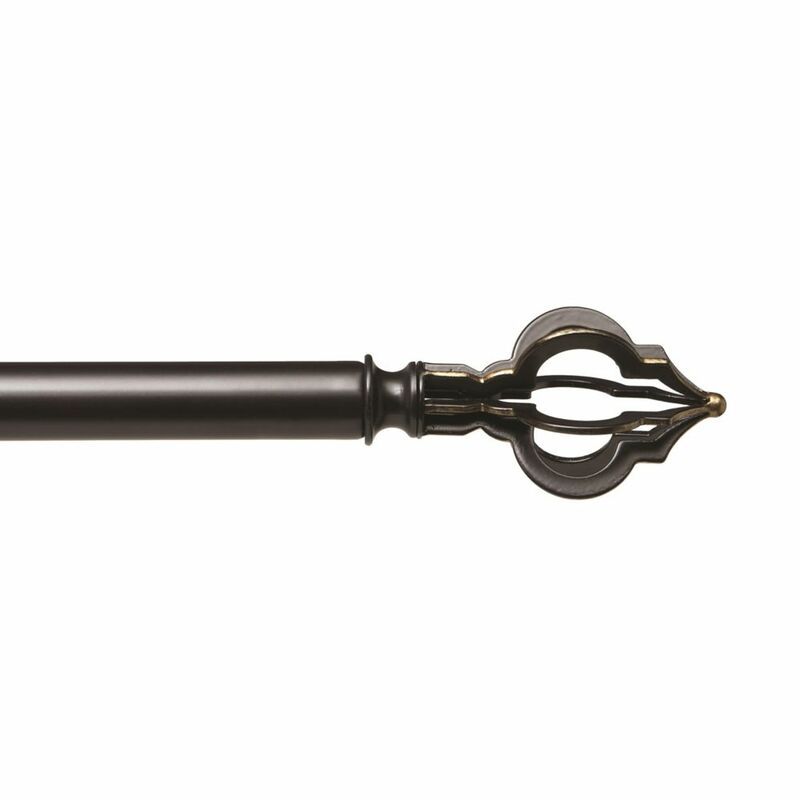 The modern finial design complements a broad range of decorative rod sets. 1 Inch Quatrefoil Rod Set 36-72 Inch Black/Gold The Home Decorators Collection offers a variety of decorative rod sets in styles ranging from arts and crafts, modern, classic and cottage. The Quarter Foil rod set has a 1 in. diameter rod that is available in 36 in. - 72 in. and 72 in. - 144 in. lengths. The black/gold finish will complement a wide variety of decors.